Huntsville Vegans is hosting another free movie night/food sharing on Thursday, May 29th, with a screening of Speciesism (2013). Our movie nights take place at the Huntsville Public Library (in the auditorium on the ground floor) in Downtown Huntsville. Doors open at six, and we’ll start the movie itself around 6:30. Everyone, vegan or not, is welcome to come and enjoy the film. After the movie we’ll have a short discussion about the issues brought up in the film, and our team will take questions from the audience. “Modern farms are struggling to keep a secret. Most of the animals used for food in the United States are raised in giant, bizarre “factory farms,” hidden deep in remote areas of the countryside. 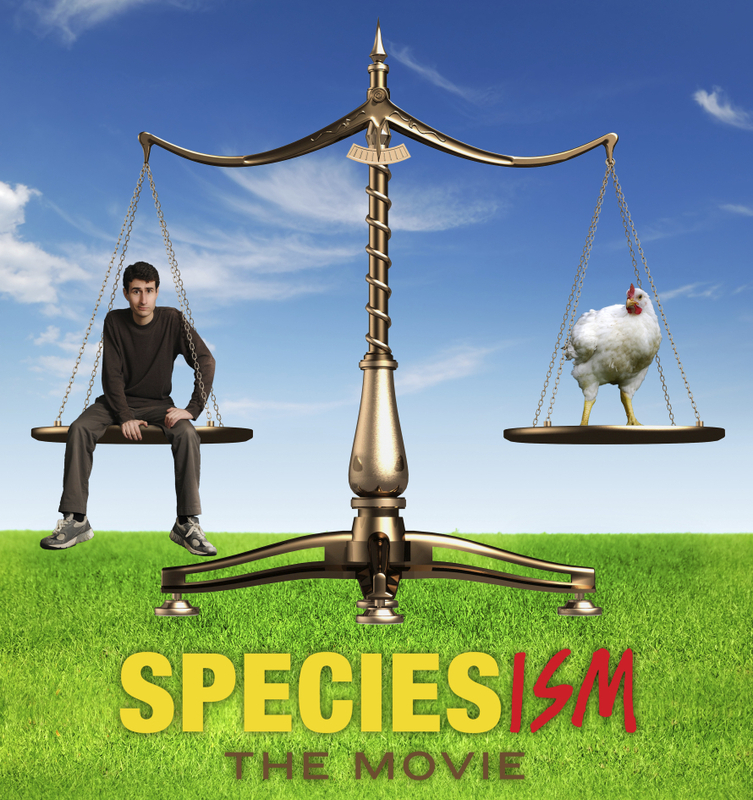 Speciesism: The Movie director Mark Devries set out to investigate. The documentary takes viewers on a sometimes funny, sometimes frightening adventure, crawling through the bushes that hide these factories, flying in airplanes above their toxic “manure lagoons,” and coming face-to-face with their owners. We’ll be sharing food at this event as well. Even though this program is presented by Huntsville Vegan and Animal Rights League, non-vegans are very welcome. That said, we ask that if you bring something to share that it be vegan. If you are not sure about something, please contact us!